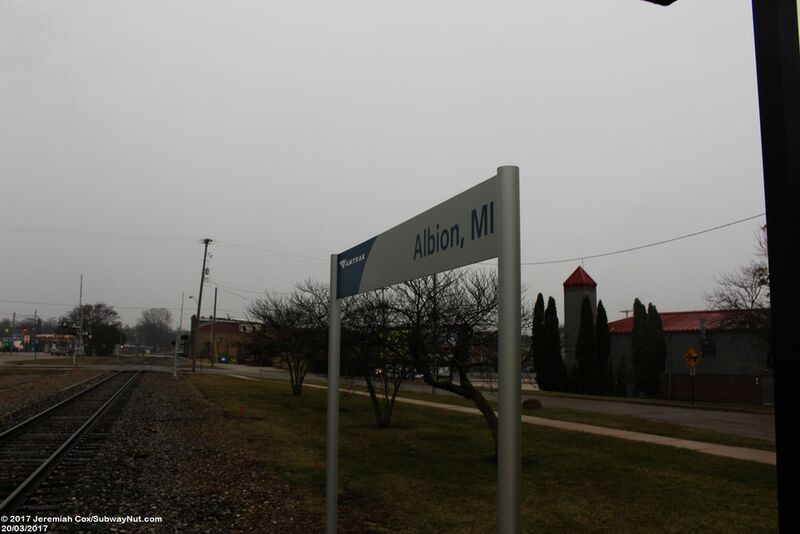 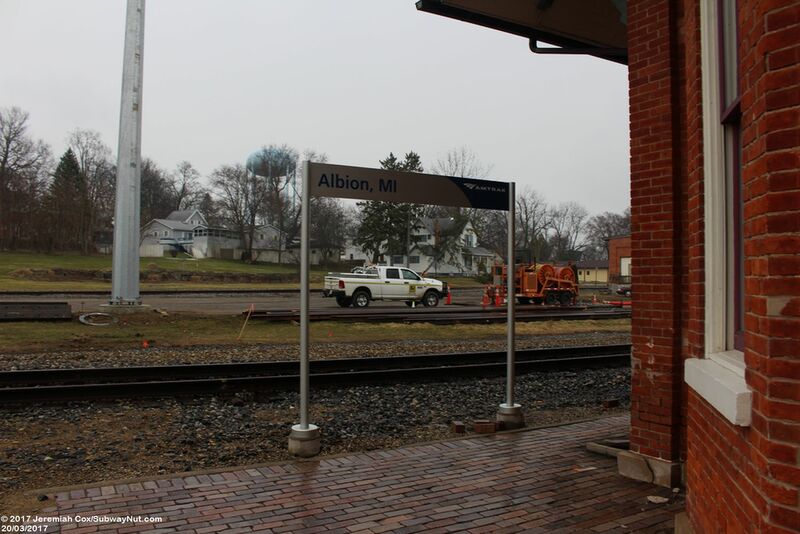 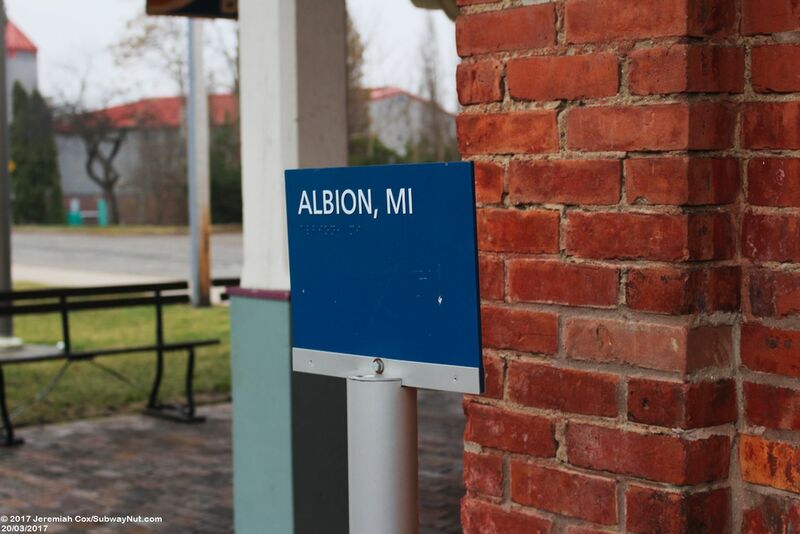 Albion is a minor station on the Wolverine route, served by just the midday train. 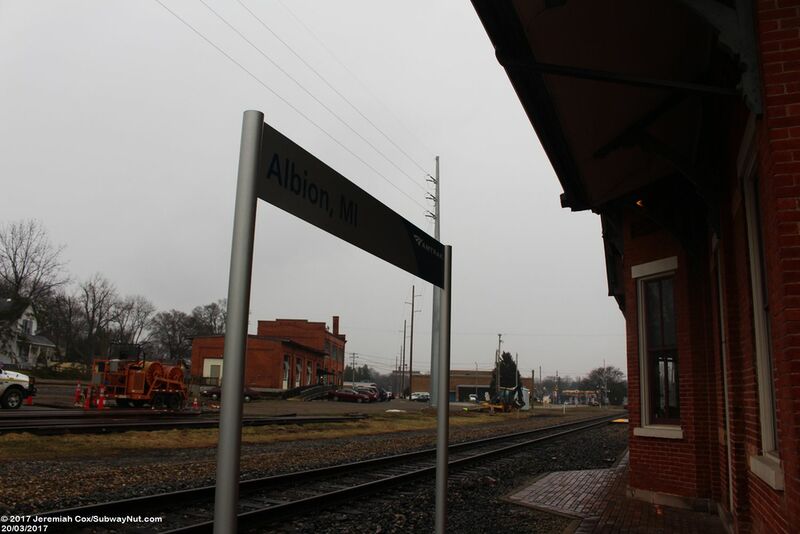 The morning and evening Wolverine trains skip the station. 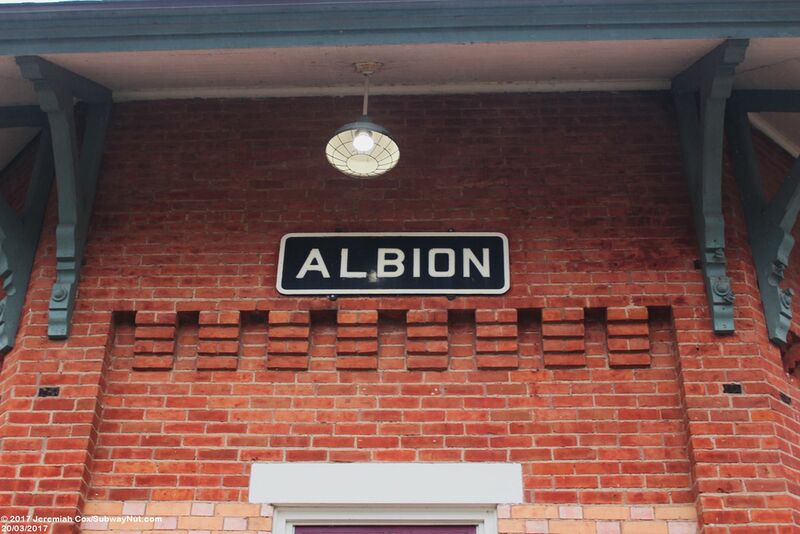 Until 2016 it was even a flag stop with trains only stopping when a passenger had an advanced reservation, or was standing on the platform visible to the train crew. 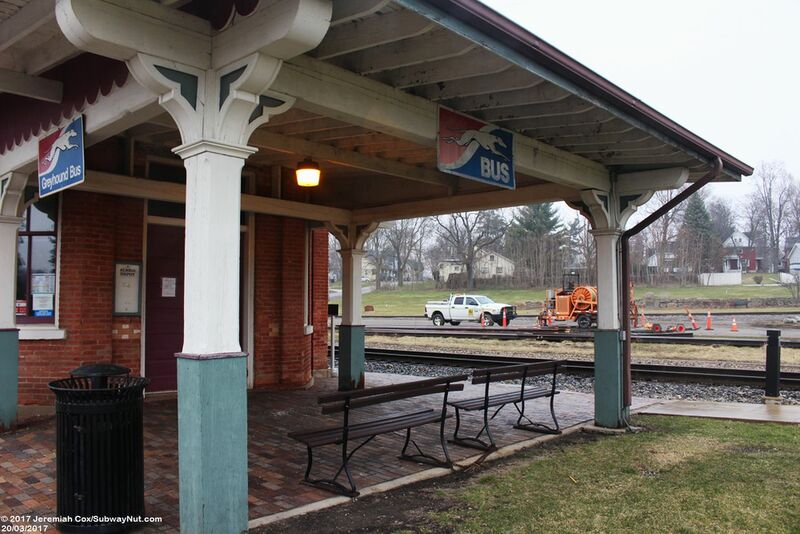 Although the stop is low-ridership it is historic. 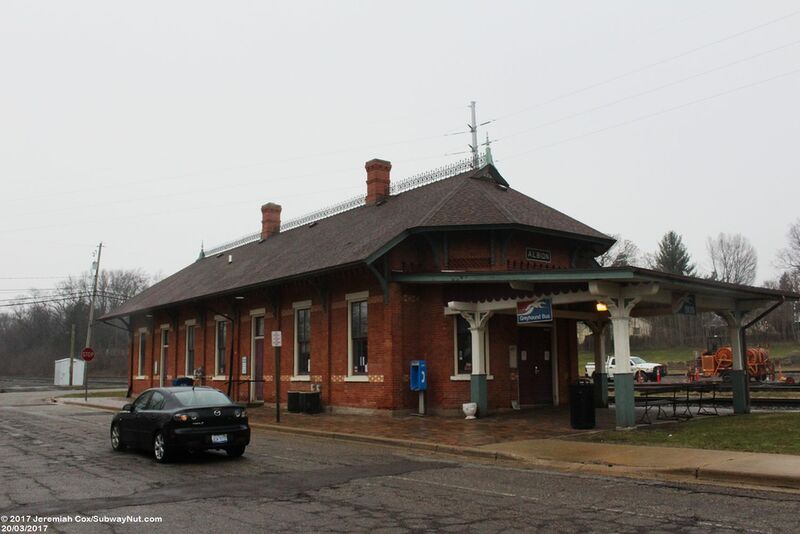 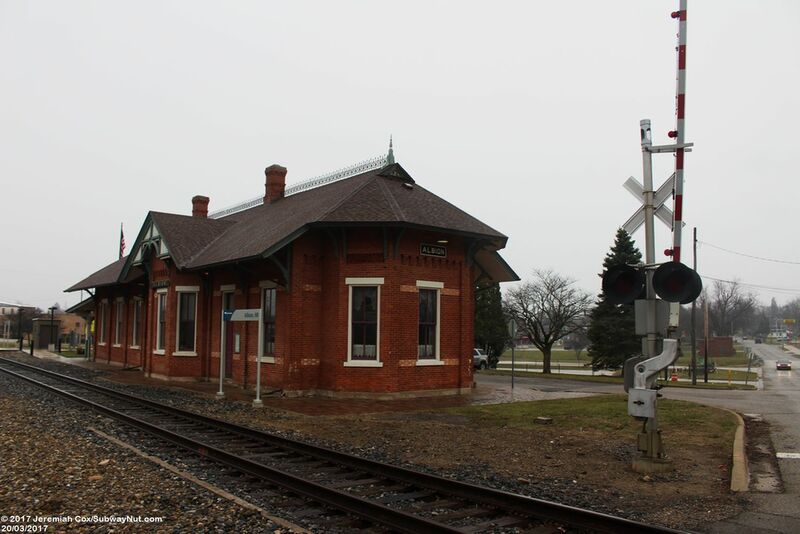 Trains stop in front of an ornate 1882 brick Italianate station built by the Michigan Central Railroad. 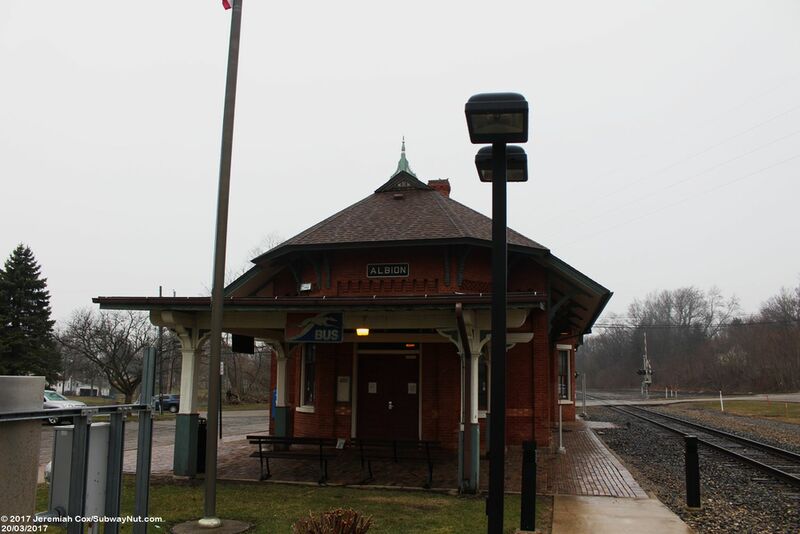 The depot closed in 1971 but was restored by the community in the mid-1980s. 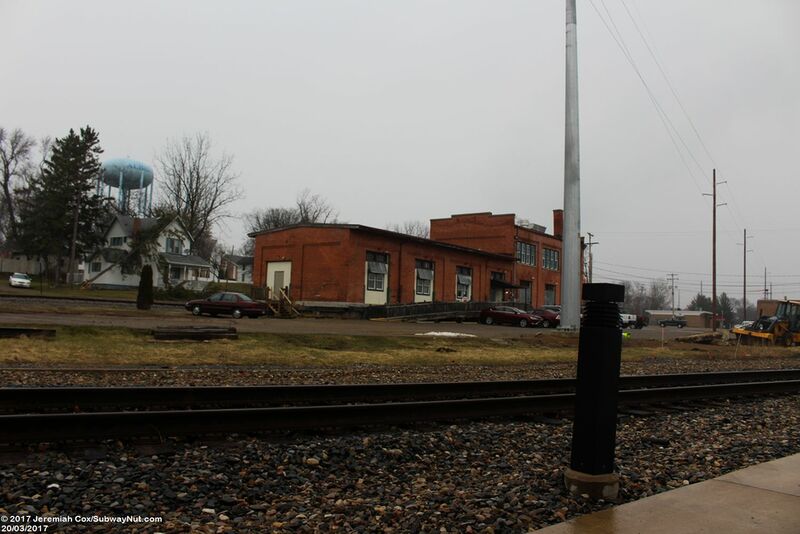 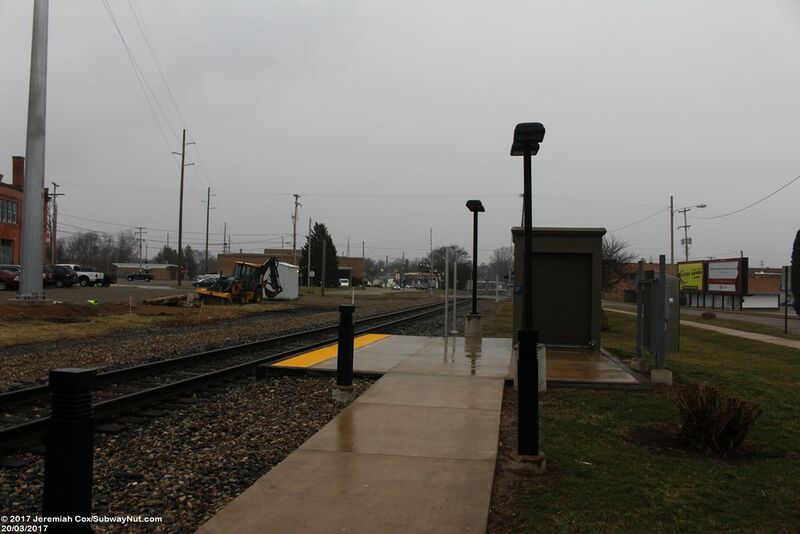 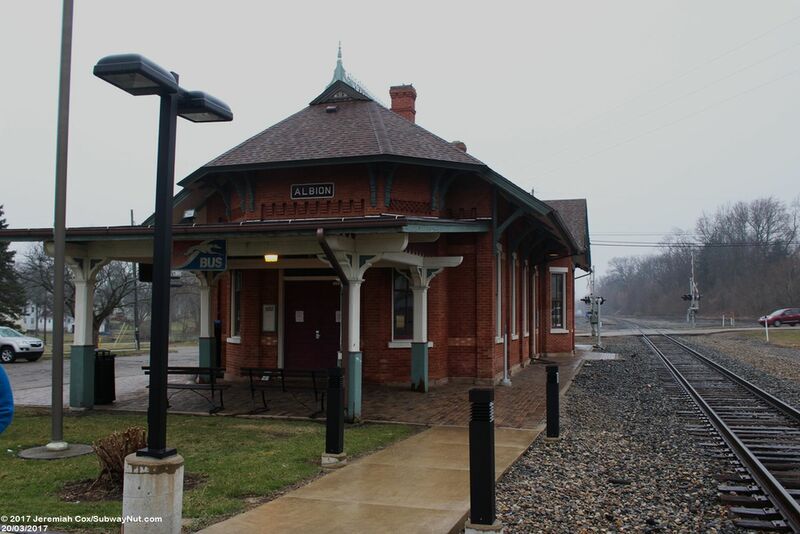 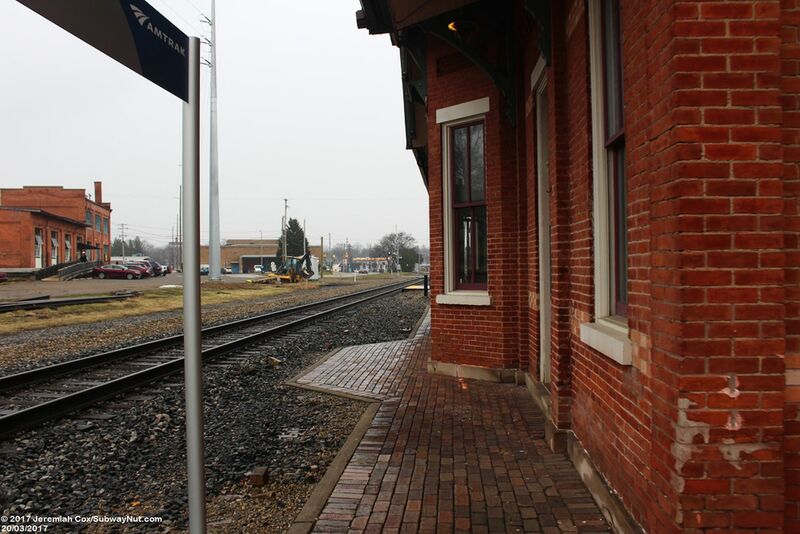 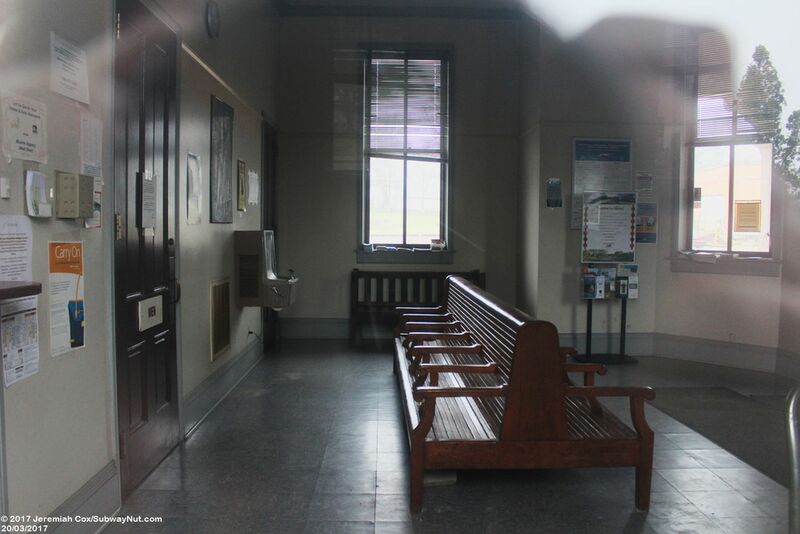 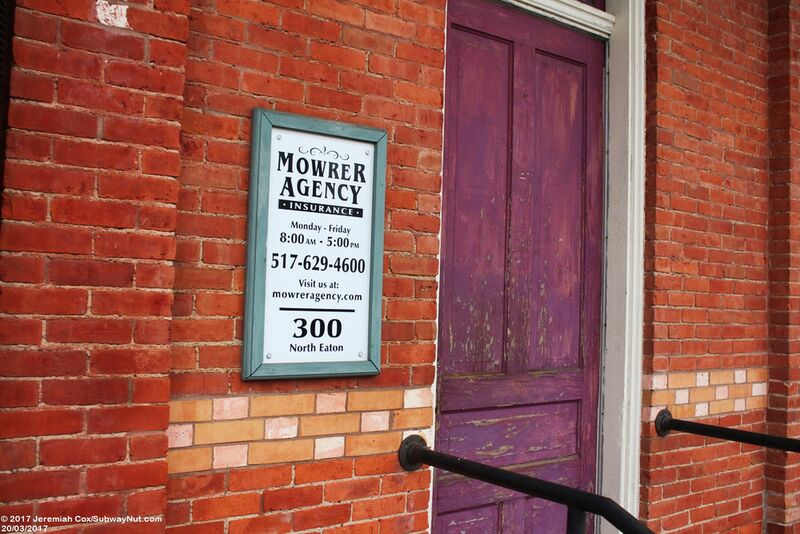 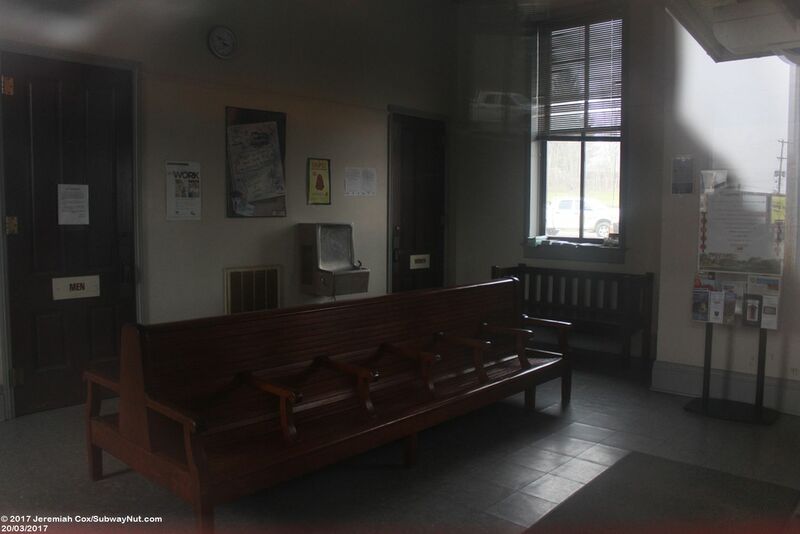 The inside of the station contains a small waiting area with wooden benches open 8:00am to 5:00pm Monday through Friday, the same hours as a branch of the Mowrer Insurance Agency which has offices in the station. 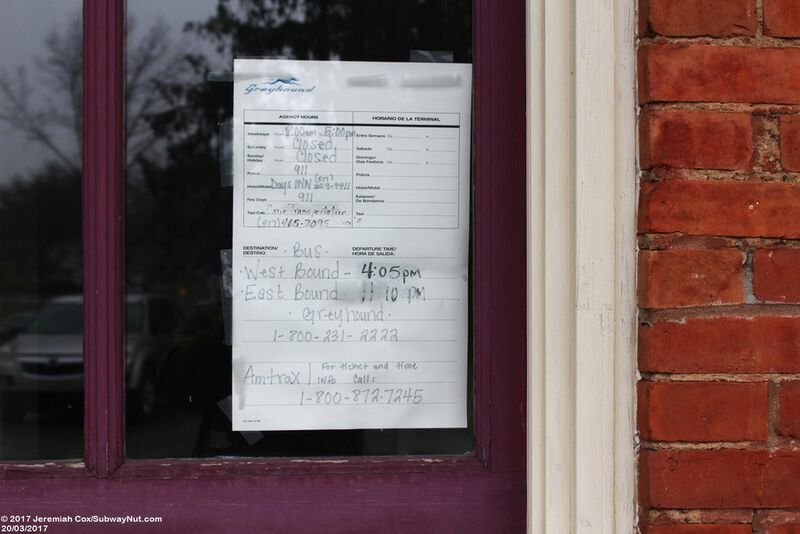 The insurance agency also sells Greyhound bus tickets for one the bus that stops per day on the Detroit to Indianapolis route operated by Miller Transportation/Hoosier Ride. 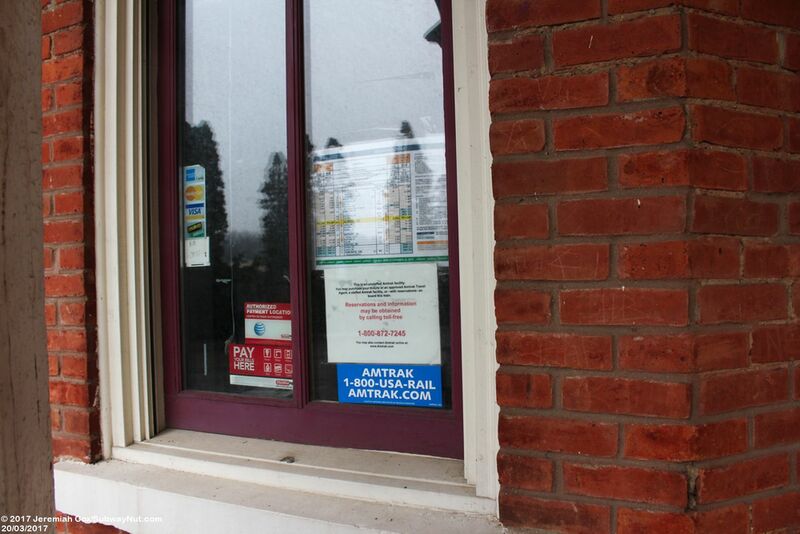 The shared nature of the bus/Amtrak station leads to some interesting signs in the window such as for credit cards acceptance for Buses only and train passengers needing to call Amtrak. 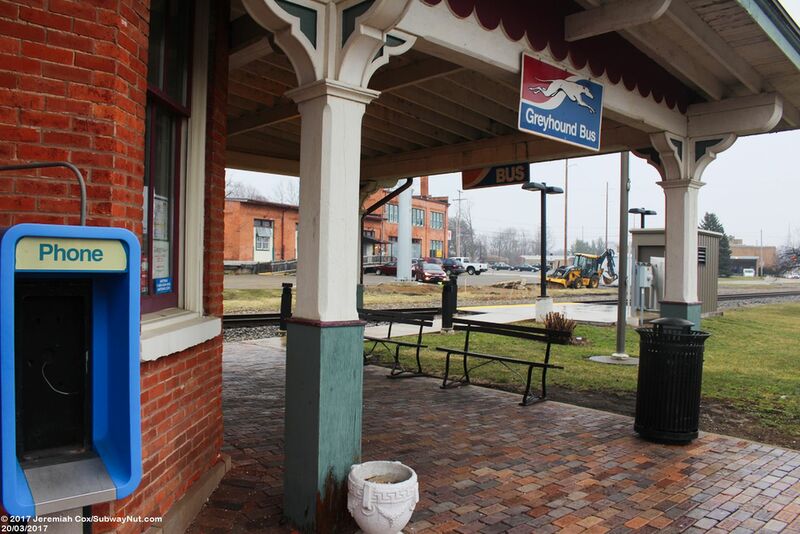 In addition, a Greyhound-issued hand-written sign in the window with bus schedule information refers to �Amtrax�.